When families choose home education, it is often for the flexibility and ability to be in control of their child’s education. Florida Virtual School courses can serve as a complete curriculum or the perfect mix-and-match solution for home education families. 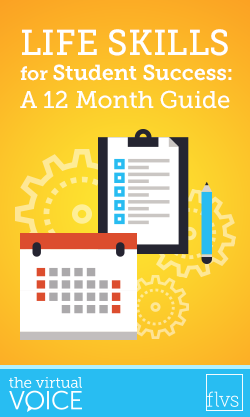 Below you’ll find just a few reasons why Homeschool + FLVS = the Perfect Equation! Being a homeschooling parent is hard! Not only are you in charge of laundry, the dishes, doctor’s appointments, and everything else, but now you have also chosen to take charge of your child’s education. Have no fear! You can do this! 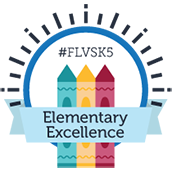 This post was originally published on the blog of an FLVS Flex Elementary parent. Rea is homeschooled and a part-time elementary student at Florida Virtual School. I supplement the rest of her life with educational goodness…at least I try. Rea’s school recently planned a state-wide field trip. These field trips took place in six different cities across the state. We opted for the Orlando one, since Rea’s teacher would be there. 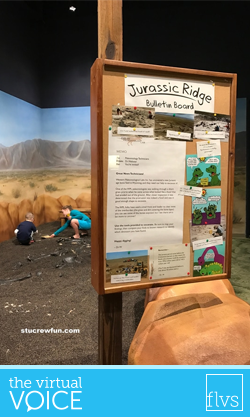 So, the kids and I got up early on Friday morning and drove to the Orlando Science Center. If you have never been, and happen to be in the area, GO! It’s so cool! This place is four floors of interactive science exhibits. I’ll be honest, my son was NOT happy that I dragged him along with his sister. He told me many times he wished he was at his school. As we start a new year, educators and parents all have a common goal for 2017 – to ensure that our children have the skills and knowledge they need to be successful for college and a future career. What if we each set a goal to teach our students one skill a month? If all of our students put this plan into action today, can you imagine the impact we could make on our future generation? Today’s workplace values creativity, collaboration, critical thinking, and communication skills. Managing time, setting goals, handling stress, and a variety of other skills can help students succeed in all of these areas. 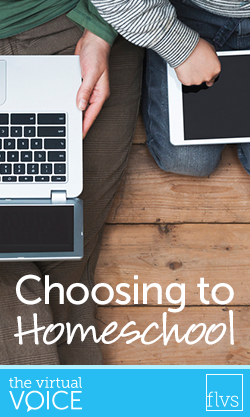 Choosing to homeschool was not something I initially chose. Sometimes, I think it chose me. At the age of 2, my son was diagnosed with Type 1 Diabetes. Although the illness is very serious, I truly thought that schooling at the local public school near our home was going to be just fine. After all, I successfully attended public school growing up, so I really didn’t think it would be that different. Sadly, I was shocked to discover just how much things had changed since I was a child. 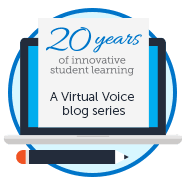 Within the first two weeks of Kindergarten starting at the local brick-and-mortar school, I found myself having to withdraw my child from public school and enroll him into Florida Virtual School. The bottom line was that the brick-and-mortar school could not truly handle my son’s diabetes, and homeschooling appeared to be the solution.